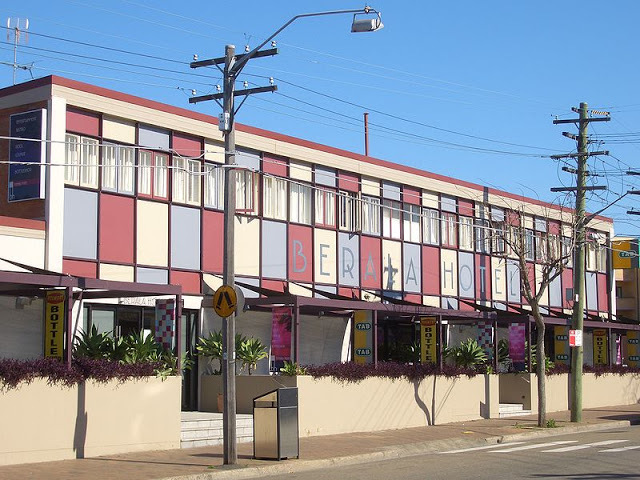 Despite the changes and years gone by, the Berala Hotel has maintained a reminder of a time when the State Government’s transport department respected the community. Greeting patrons of the Berala Hotel is a real estate advertisement from 1930 promoting the suburb’s excellent train connections with Sydney. Since the 2013 timetable change “the worst downgrade in a generation”, Berala has no direct trains to City via Lidcombe. Commuters must interchange at Lidcombe for a Western Line or South Line train. Soon Berala will also its final direct connection to the City with the Bankstown Line being shutdown and the Sydenham – Bankstown conversion to Sydney Metro from 2018 onwards. 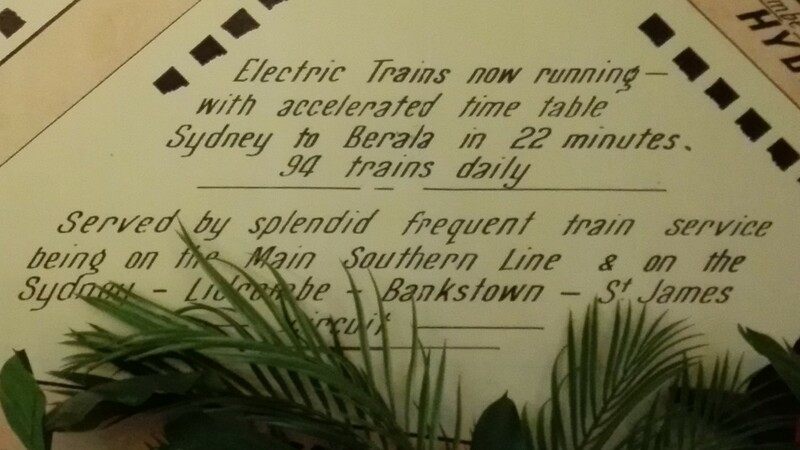 In 1930, the train from Sydney Terminal (Central Station) to Berala was 22 minute journey running direct via Lidcombe. 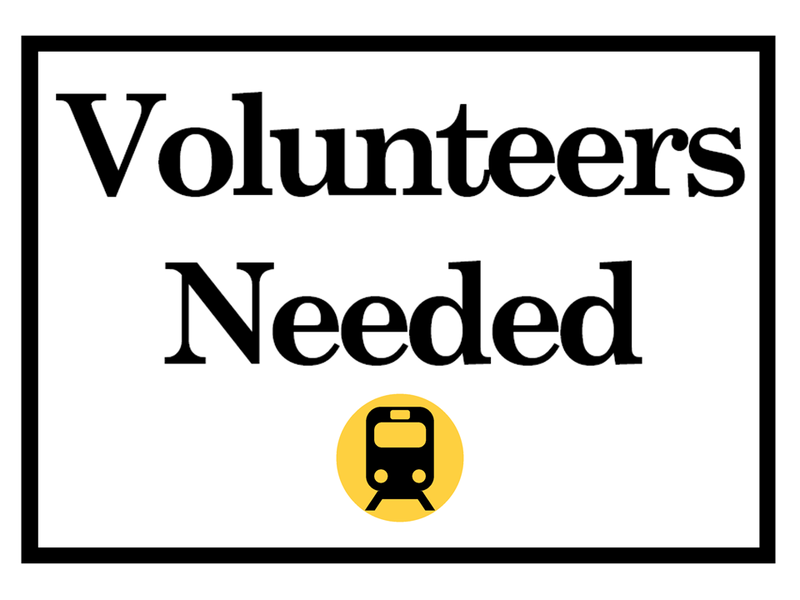 The Main Southern Line is also known as CityRail’s Inner West Line starting in Sydney and running to Liverpool via Regents Park then with interstate trains continuing to Melbourne. With the 2013 timetable change and cuts to trains, this direct journey is no longer possible with the Inner West Line terminating at Homebush. Alternatives include interchanging at Lidcombe for the Bankstown Line or a slow train via Sydenham and Bankstown. Currently Sydney Central to Berala is an indirect journey of 32 minutes including the Lidcombe interchange or a 49 minute journey on the Bankstown Line. 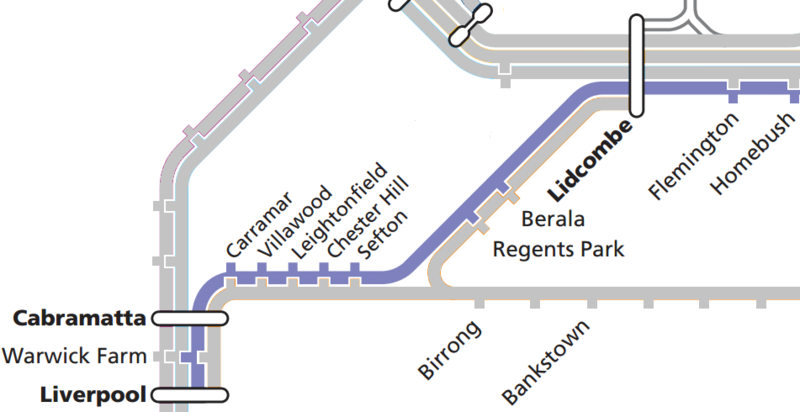 Since 2013, Berala has not had frequent train services with only 2 trains per hour and the line terminating at Lidcombe. The major hindrances to Berala having more train services was the termination of trains at Homebush and Bankstown before the 1930s. It was expected a train would service Berala every few minutes once the Bankstown circuit (Sydney – Lidcombe – Bankstown – St James) was completed. In 2017, it would be easy to mistake this advertisement of “a train every few minutes” as a promotion for the new Sydney Metro, which will leave Berala without any direct connection to the City. The Sydenham – Bankstown Metro line will reintroduce the dead-end at Bankstown. This comes as the State Government has already reopened the dead-end at Homebush in 2013. 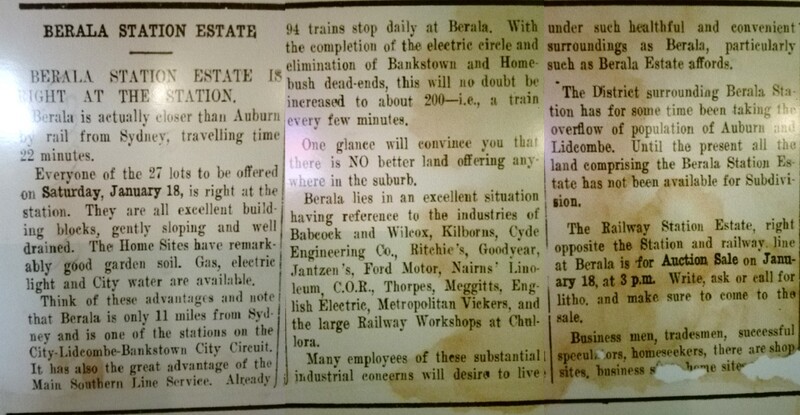 The sale of the Berala station estates was advertised and carried out under the instructions of the Railway Commissioners for New South Wales, a State Government agency now known as Sydney Trains and Transport for NSW. Since 2013, regular passenger trains do not service Berala on the Main Southern Line (CityRail’s Inner West Line to Liverpool via Regents Park) and the journey from Berala to St James station has also increased to 48 minutes with an interchange at Lidcombe to 53 minutes on the Bankstown Line. Do we need any more reasons why the Inner West Line (Liverpool to City via Regents Park and Bankstown to City via Regents Park) needs to be restored? 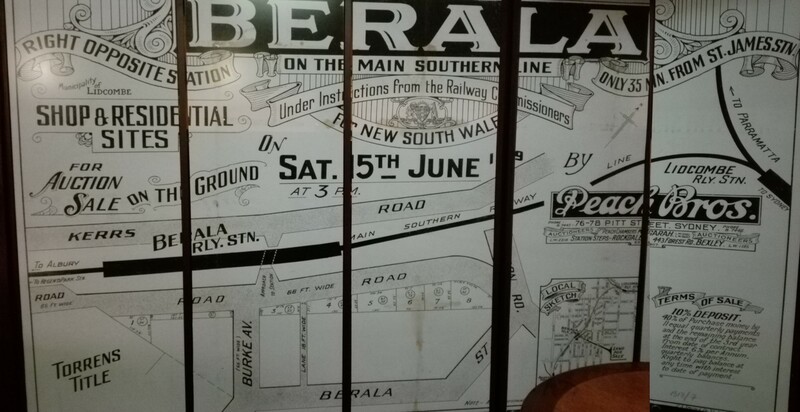 The historicity of the posters in the Berala Hotel was questioned by Cumberland Liberal Party Councillor Michael Zaiter at a Council Meeting in December 2017. Restore Inner West Line stands by this evidence as these documents can be located within the NSW State Library’s Digitised Catalogue of the Berala Subdivision. Next Lidcombe needs fast our trains back not bogus advertising!